If you love to update your décor with the latest trends, then choose one of our white blinds that’ll keep looking great year after year. Browse our range of white wooden blinds, perfect for any room. View our range of white Roman blinds, perfect for any room looking for a touch of white. View our range of white Roller blinds, perfect for any room. 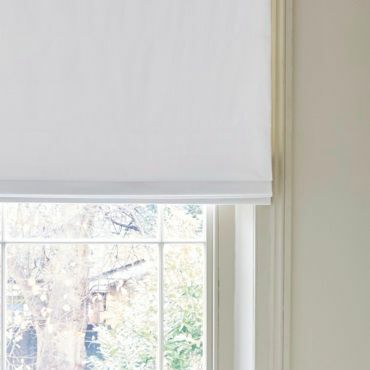 View our range of white blackout blinds, perfect for any room looking for a touch of white. Flowers have even been paired with monochrome palettes, to contrast pretty feminine detailing with androgynous tones. Classic white blinds are ideal for contemporary minimalistic themes, or they can be teamed with black furniture and accessories in an eye-catching monochrome palette. Off-whites also complement traditional neutral schemes. Once you’ve decided to refresh your surroundings with white blinds, all that’s left to do is choose your favourite style. 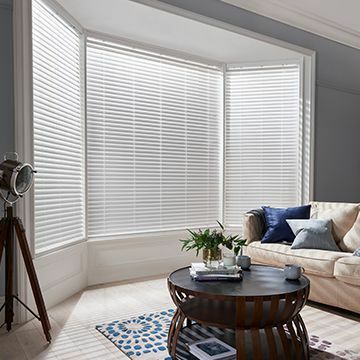 The Hillarys collection of made to measure blinds has it all. With a wide selection of stunning shades and designs, you’re certain to find something perfect for your home. And if our collection of pretty patterns, textured motifs and plain white blinds simply offers too much variety, your local Hillarys advisor will help you to narrow the search at your home appointment. Together, you’ll find the perfect option to complement your existing décor. 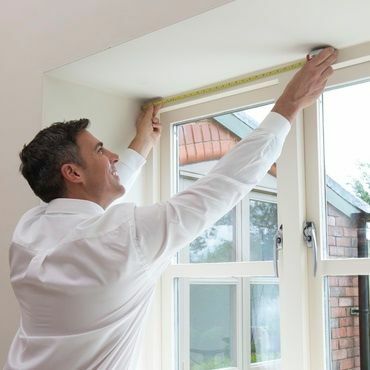 Once you’ve arrived at a decision, they will measure your windows and leave you with a no-obligation quote. If you decide to go ahead and place an order, your advisor will return to fit your blind at a time that suits you.